You may receive updates from 100% Renewable Energy Campus Campaign, the sponsor of this form. 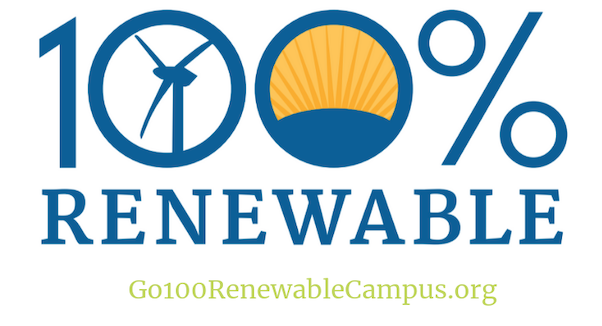 Stay up to date with the campaign for 100% renewable energy on college campuses! College and University students have played a key role in important social transformations, and we can do so again around our transition to a clean, renewable energy future. Students across the country, along with Environment America, are working to commit colleges and universities to getting 100 percent of their energy from renewable sources. Join our list to get campaign updates and information about upcoming actions!